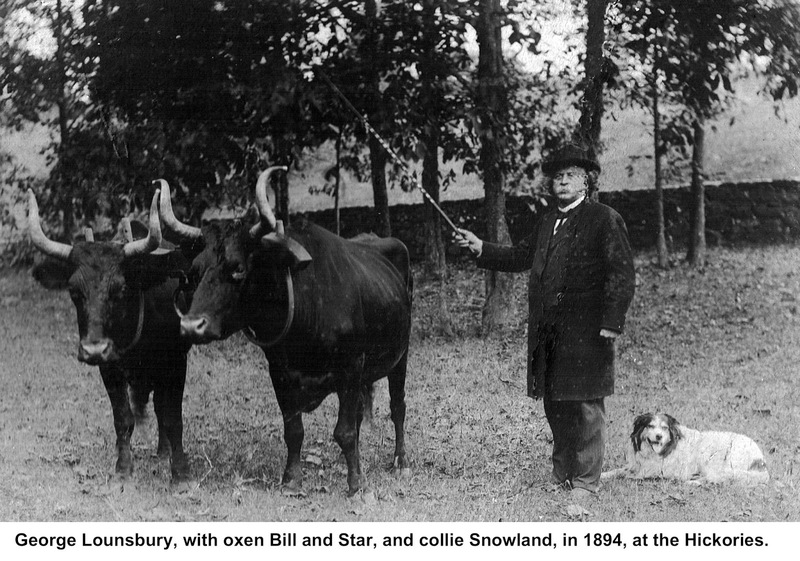 One doesn’t usually find a finely dressed gentleman — much less a state governor — leading a team of field oxen. The man photographed with a whip and a yoke is George E. Lounsbury, 58th governor of Connecticut (1899-1901), and the scene is his farm, The Hickories, in Farmingville, about 1900. Today, The Hickories, owned by the Brewster family, is Ridgefield’s only working farm. In 1996, the town bought the development rights to 101 acres of its farmland. later, and it was at the Farmingville Schoolhouse that he received his early education (around 1899, he donated a brand, new schoolhouse to the district; after it closed in 1940, it wassold and moved to North Salem, N.Y., where it served many years as an artist’s studio). 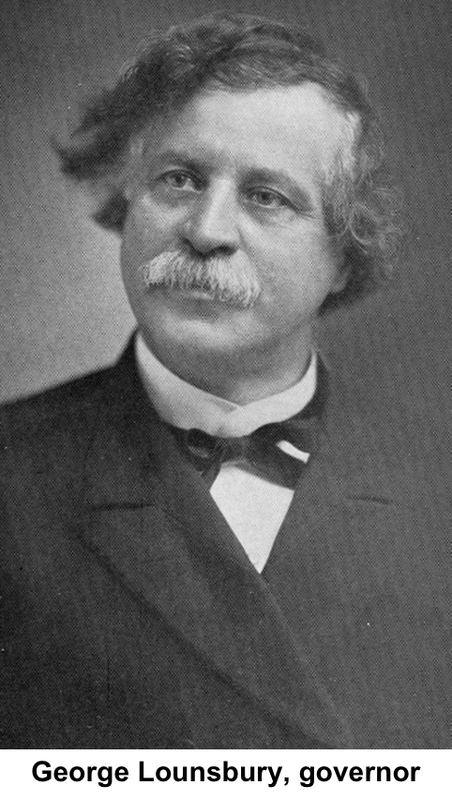 He graduated from Yale in 1863 and from Berkeley Divinity School three years later. He began his career as an Episcopal priest, serving in a couple of Connecticut congregations, but because of throat problems, left the ministry and entered the family business, operating shoe factories in Norwalk for the rest of his life. After his retirement, he became president of the First National Bank here (an ancestor of the Wells Fargo branch on Main Street). 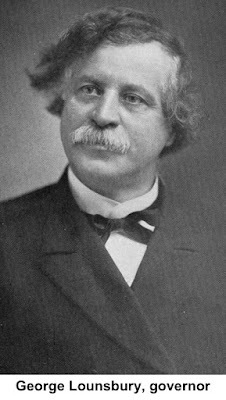 “Although he was more than ordinarily successful and acquired wealth, position and prominence, he always retained an interest in the common people, with whom he mingled freely and in whose welfare he was deeply interested, as he often showed in many practical ways, unknown to the general public,” his obituary said.